On October 31st, the Department of Biology Meet ‘n’ Greet was held in the Richardson College for the Environment atrium. The Meet ‘n’ Greet is first and foremost an opportunity for students to meet and learn more about the Faculty and Staff from the Department of Biology and seize the opportunity to speak to them and ask questions about their positions/research in a more casual setting. 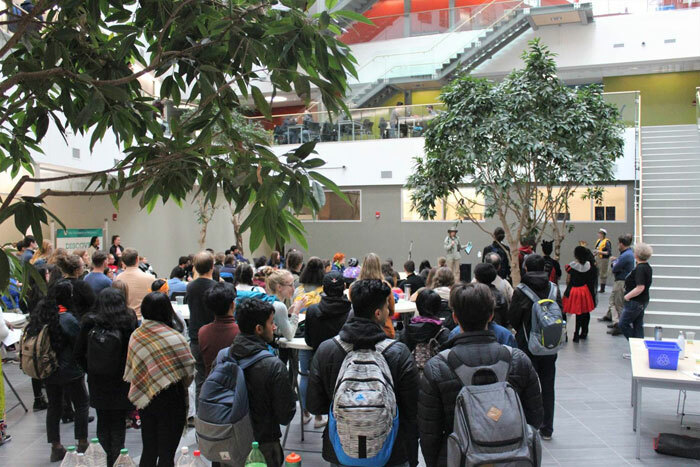 Supplied with pizza and pop, guests sat in the atrium and listened to 1 minute pitches from Faculty and Staff before mingling in the atrium, allowing for interaction with other students, staff, and faculty. 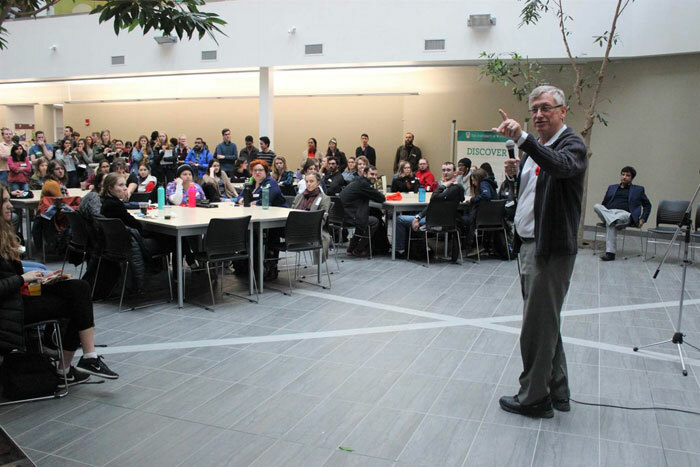 The event was well attended by over 100 Faculty of Science students from the various undergraduate and graduate levels, and over 15 Faculty and Staff from the Biology Department. A special thank you to all of the participants who helped make this event a success.